This variety won the Cannabis Cup in Amsterdam for a combination of pure sativa effect and high THC in 1998 - almost 23%. 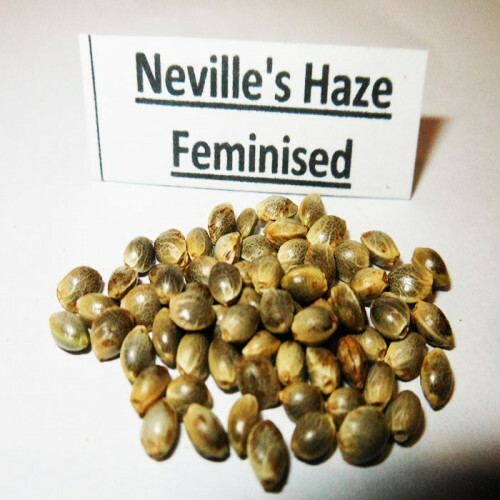 Experts recommend to grow Neville's haze fem in open space, because the plant is in need of constant access of light. After 14 weeks of flowering bush can obtain 1200 g / m2 of dry matter in outdoor grows and 700 g / m2 at home. The plant is resistant to mold and parasites, so it can grow even inexperienced growers.